Our Five Ring Circus: Do You Wanna Win Some Netflix? I can't believe there are only 3 days until Christmas! I love this time of year so much, but it always feels like it arrives way too quickly. I could use another week to prepare! That being said, I'm so excited about Christmas this year. I can't wait to spend time with my wonderful family! My kids are bursting with joy, which makes this time of year even more special! In the spirit of giving, I have a wonderful gift for one of my readers! It's no secret that I love Netflix! 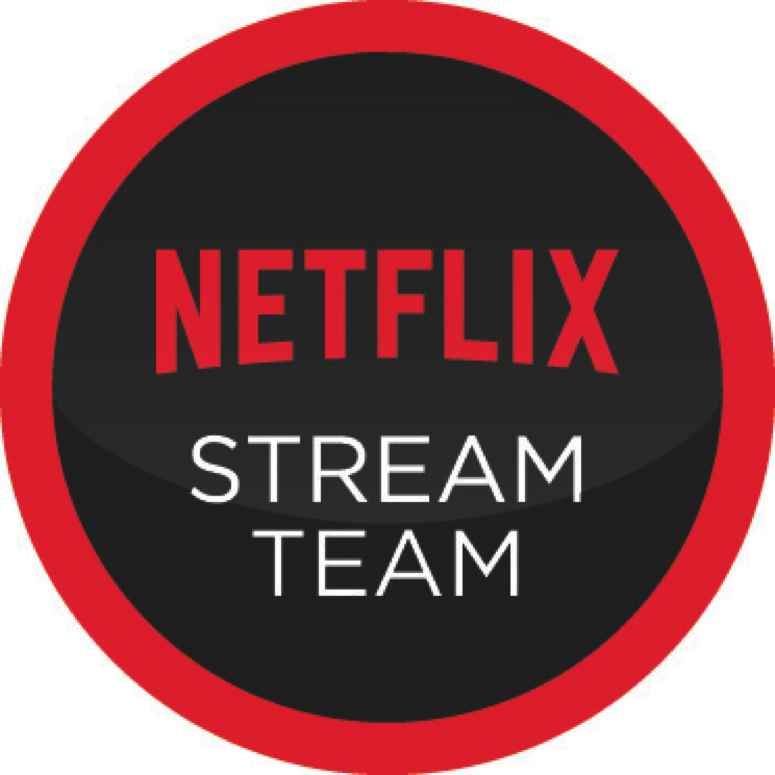 We watch something on Netflix almost every day, including many of their original series, and I absolutely love being a member of their Stream Team! Netflix graciously sent me two complimentary 1 year memberships to Netflix streaming to give to two people of my choosing. I decided to give one membership to a deserving family I know, and give one membership to one of my readers! I am so thankful for all my loyal readers and all the friends I met through blogging! I can't think of a more fun gift than the gift of entertainment for a year! From laughter to tears, and everything in between, Netflix has it! Up for grabs is ONE complimentary 1 year membership to Netflix streaming! Entering is easy. Simply choose one option from the rafflecopter widget below or enter as many options as you want to up your chances! The giveaway begins today and will end on December 30th at 12:00 AM. Good luck!!! For another chance to win, please visit my dear friend Steph's blog! *I was given two complimentary 1 year memberships to Netflix streaming to give as gifts. All opinions are my own. How thoughtful to give them away. Netflix is almost necessary with small children. I don't have it but have viewed it at my sons. Merry Christmas to you and your family. The children are so beautiful and your photography skills are suburb. I love so many series on Netflix. I'm on the last season of The Walking Dead right now. Before that I caught up with Salem … before that Witches of East End. We watch several things on Netflix. Right now we are watching Arrow and Once Upon a Time. I will be watching the second season of Orange is the New Black next week. I just finished the second season of Orange is the New Black. It was good! We cut our cable 3 months ago and have hulu but my daughters would love to have netflix to watch The Walking Dead. oh gosh, probably rewatch criminal minds. I enjoy watching Orange is the new black and Once Upon a Time. I'd love to re-watch all of True Detective. We have netflix and have had them since getting the mail order dvds were popular. We cut the cable and are entertained by Netflix. My favorite series to watch is Roseanne. It just became available on Netflix and I love it. If I had Netflix, I would love to watch Orange is the New Black. I didn't watch TV for years, so now I'm catching up on series I didn't see the first time around. Watching The Gilmore Girls right now. What a fun idea! I'd get back on the Scandal train for sure. I love watching through whole series, and I love silly shows like Phineas and Ferb!